Yay fall! 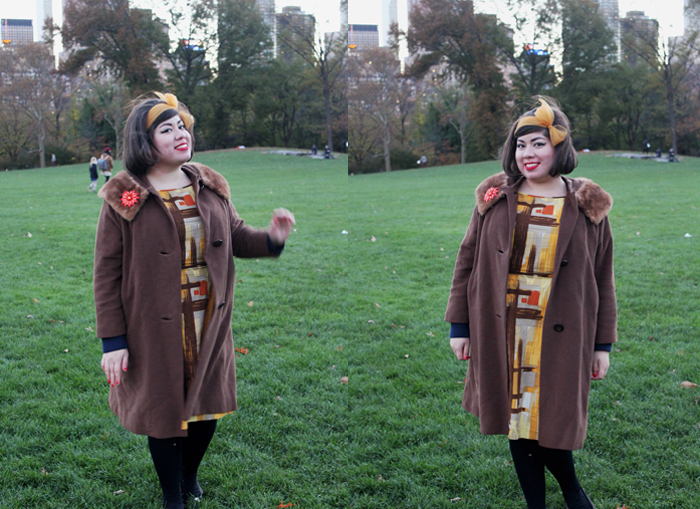 I recently had a picnic in Central Park where I wore this fabulous fall ensemble. The dress is my go-to come November. It's seasonably appropriate and always reminds me of Mad Men. The colors come together in a really nice fashion. There's a short period of time between wondrous, bright leaves to completely bare trees. It's my favorite time of year when fashion and nature become equally colorful. A friend of a friend needed a hair model so I stepped in. It's shorter than I'm used to, but I love it. 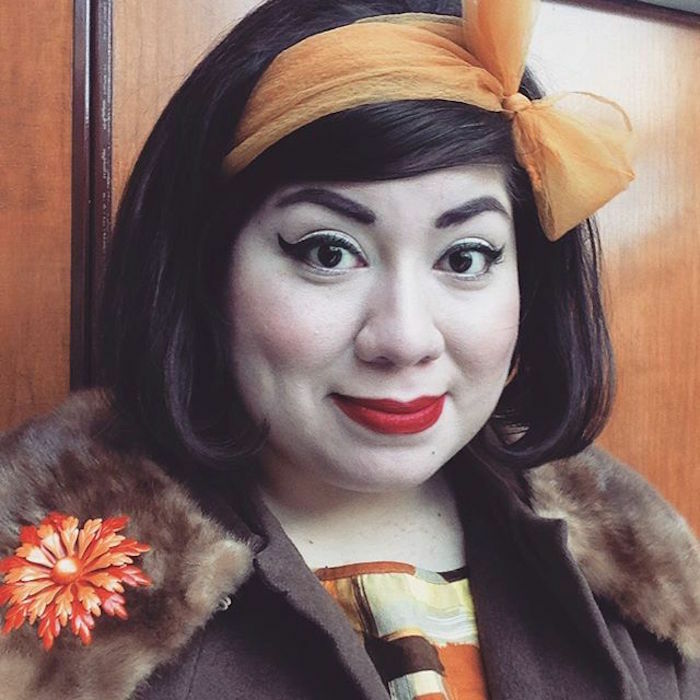 It's easy to create the perfect 60's bob, not to mention, my signature flip! I hope to get back to Central Park once more before winter. For now, I'll enjoy the beautiful Bed Stuy brownstones right here in Brooklyn.